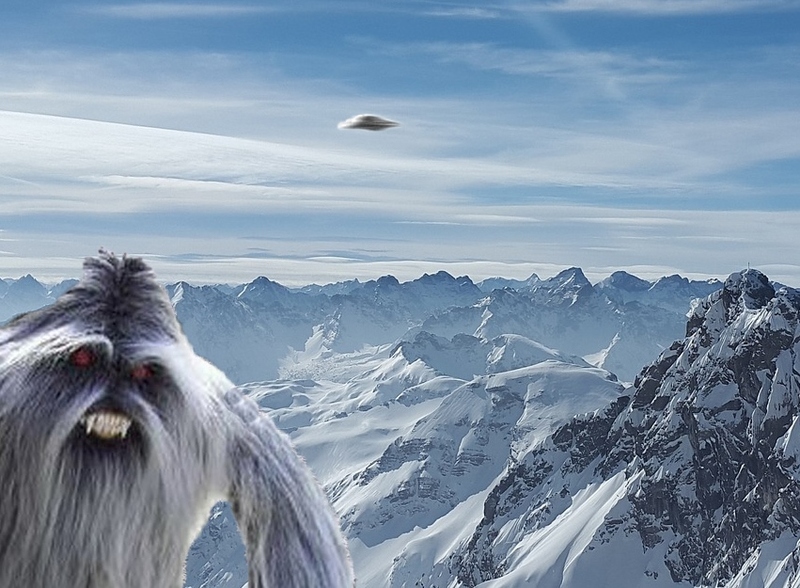 Himalayas (dpo) - Once again, the Yeti is causing a stir: in an interview with the Postillon, the legendary Abominable Snowman claimed he had not only caught sight of a UFO, but had also managed to take a photo of it with his iPhone. He then went on to produce a blurred photograph showing some kind of flying saucer. However, there seems to be a completely inconsequential explanation for this otherwise sensational sight: having evaluated the footage, experts are now convinced that the unidentified flying object is likely to be a meteorological balloon or a Chinese military plane. Parazoologists already agree that the Yeti is merely seeking attention. Just last year, he was adamant that he had spotted the Loch Ness monster in a mountain lake in Tibet.